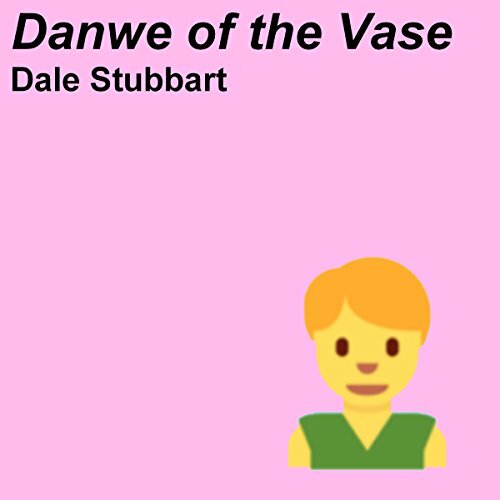 Danwe lived in a vase. It was not a regularly shaped vase. Danwe's vase had a tall cylindrical section. That is to say it was taller than it was wide. This section of the vase was similar in shape to a can of spam, but much nicer looking. This section was just tall enough for Danwe to stand and walk comfortably in. It was also wide enough for a chair or two - Danwe had three. He would have liked to have a sofa, but he knew there was no way a sofa could make the turn from the vase's opening into this cylindrical section. Danwe called this cylindrical section his living room. In the middle of Danwe's living room was the vertical section of the vase. This vertical section of the vase was rather squarish in shape and slightly wider at the bottom than at the top. Other than this, it resembled other vases. There were a couple of steps down from the living room to the bottom of this vertical section, and a couple more steps going back up to the rest of the living room. Danwe called the area at the bottom of these steps, his landing. It wasn't very big, it only took a step or two to walk across, but it was big enough. If Danwe stood in his landing and reached his hands up, he could just reach the opening of his vase. This was his window to the world. Most of the time, Danwe left his window open. But on days like today, when there was too much coming in from the outside world, Danwe would reach up and close the lid to his vase. Closing the lid worked similarly to pulling a shade across a window. When I say Danwe lived in a vase, I mean he lived in a vase. That is to say, he never left. He had lived here all his life, all by himself. When Danwe needed something from the outside, he would have it delivered. This was almost the only contact that Danwe had with the other little people who lived in this house. So what happens when Danwe finally leaves his vase and starts exploring? What will his world be like?